AOL has added a location plug-in to its instant messaging service, AIM . Now users can see where their AIM buddies are situated. The location plug-in, developed by Skyhook Wireless , tracks locations using wireless pulses emitted by Wi-Fi routers and Wi-Fi-enabled computers, instead of the more common satellite-based tracking system. The plug-in is available as a free download and enables users to group contacts in AIM's buddy list window, according to proximity to the user, with a 'Near Me' category. This will list buddies that have opted to share their locations, and who are within a set distance from the AIM user. The application can also show where buddies are on a map. 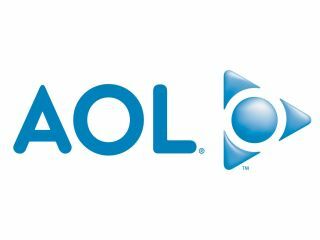 AOL said the Skyhook plug-in was the first of several planned location-based services to be added to AIM in the coming months. "As we build these platforms for people to connect, we find that context is very important," Marcien Jenckes, head of the AIM business, told The Associated Press . "Proximity or location is another one of those factors that will play an increasing role," he added. When Skyhook is installed, the application collects the identifying codes for the access point detected by the Wi-Fi card in the computer. It then compares these with its database to identity the person's location. If a user connects via a computer without Wi-Fi access, their location can be manually entered.